Freightplus specializes in the international shipping of heavy equipment. Every hour of every day, somewhere in the world, there is a Freightplus professional shipping something very big for mining, construction, marine and industrial projects. When shipping cargo that is too large for containers, it’s essential to engage experts in oversized and heavy lift shipping. Using freight forwarders specialising in shipping large loads will significantly mitigate the risks involved with moving large pieces of freight. So, what are the risks when shipping very large equipment? Whether you are shipping Caterpillar dozers, Hitachi excavators or Komatsu dump trucks, our very experienced crew knows exactly what is required to transport heavy equipment in the safest and most economical shipping configuration because shipping mining machinery is our core business. 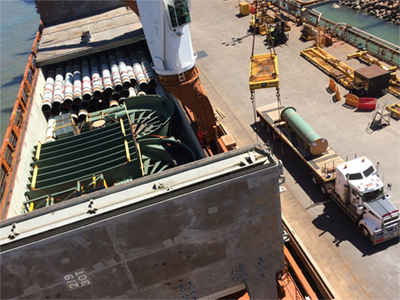 When it comes to arranging international shipping for any type or size of water craft, it is essential to engage proven boat-shipping professionals. With over 15 years’ experience, Freightplus is well-equipped to arrange the international transportation of any vessel. Shipping heavy equipment to and from remote locations is an area of expertise which Freightplus is renowned for. 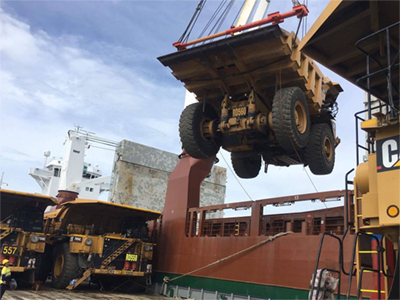 The logistical challenges involved with shipping large mining machines from remote places require a completely different set of skills to shipping mining machinery between major international ports. RORO shipping is a very cost-effective and reliable means by which to ship anything that rolls. Shipping cars or shipping mining trucks, shipping agricultural machinery or shipping a log skidder, shipping a trailer or shipping an RC… Freightplus’ roll-on roll-off shipping prices and service extras are hard to beat. Freightplus is the market leader in offshore biosecurity inspection services and offshore biosecurity treatment services (machinery cleaning for shipping overseas). In addition to biosecurity inspections, Freightplus provides pre-purchase mechanical condition reports for machinery and automotive, and pre-purchase boat inspections and marine surveys.